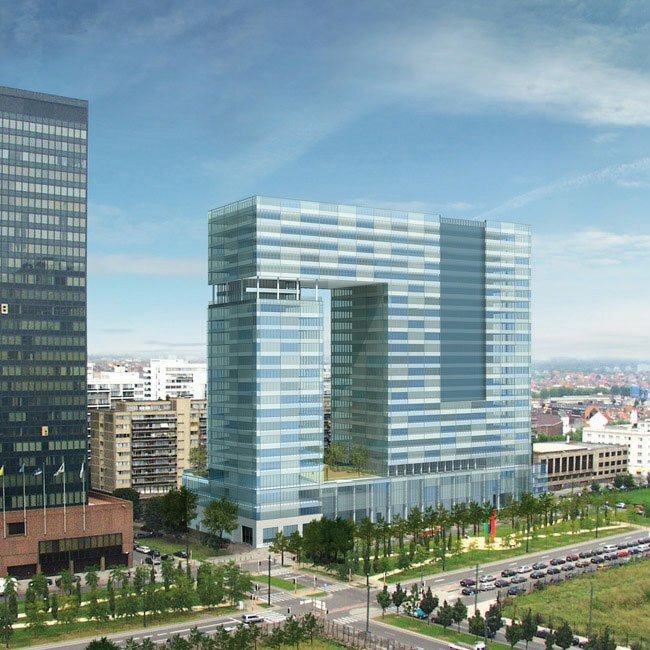 The TBR Brussels Tower is 87 m high and contains 80,000 m2 of office space. The structure consist s of a wide existing building and a plinth. 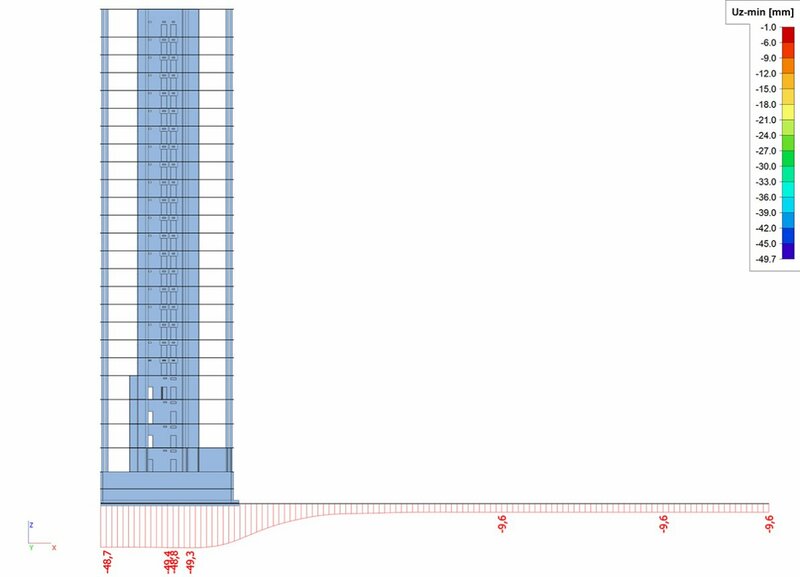 The project involves the building of a new tower (measuring 25 m by 25 m) on the foundation slab of the former plinth. A steel bridge will connect the two towers. 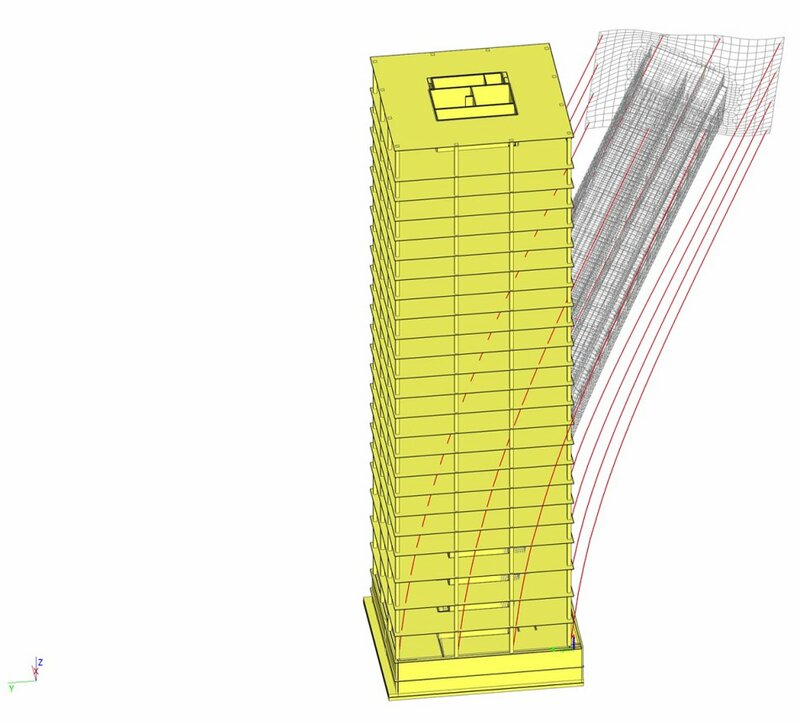 In this project, Scia Engineer has been used for several analyses: the global stability, the deformation of the tower, a check of the wind comfort, a second order check, the analysis of the forces in the existing foundation slab, the differential settlement caused by the new tower, the determination of the reinforcement, etc. To estimate the horizontal deformations, taking cracked lintel shear beams into account, sub regions with reduced stiffness were used. 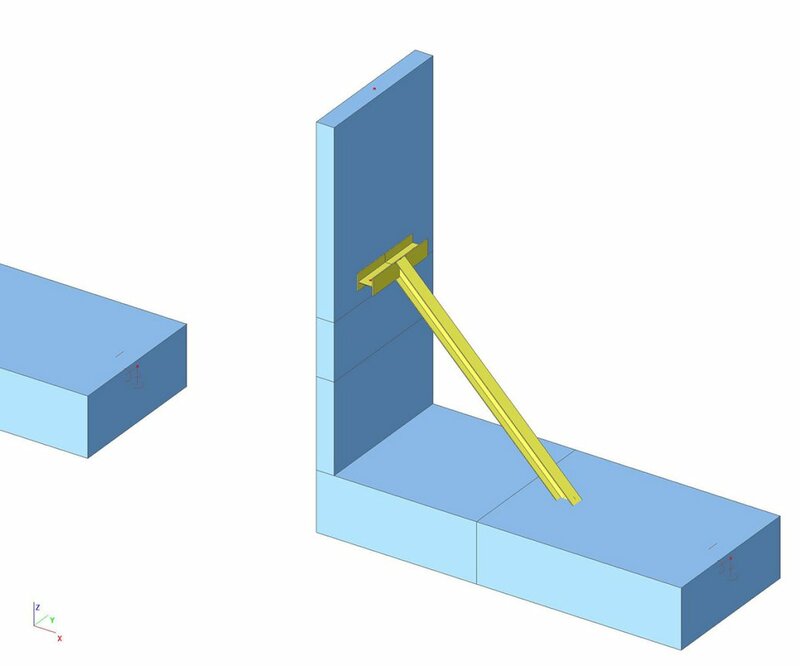 To determine the internal forces and the reinforcement in the lintel shear beams, integration strips were used. 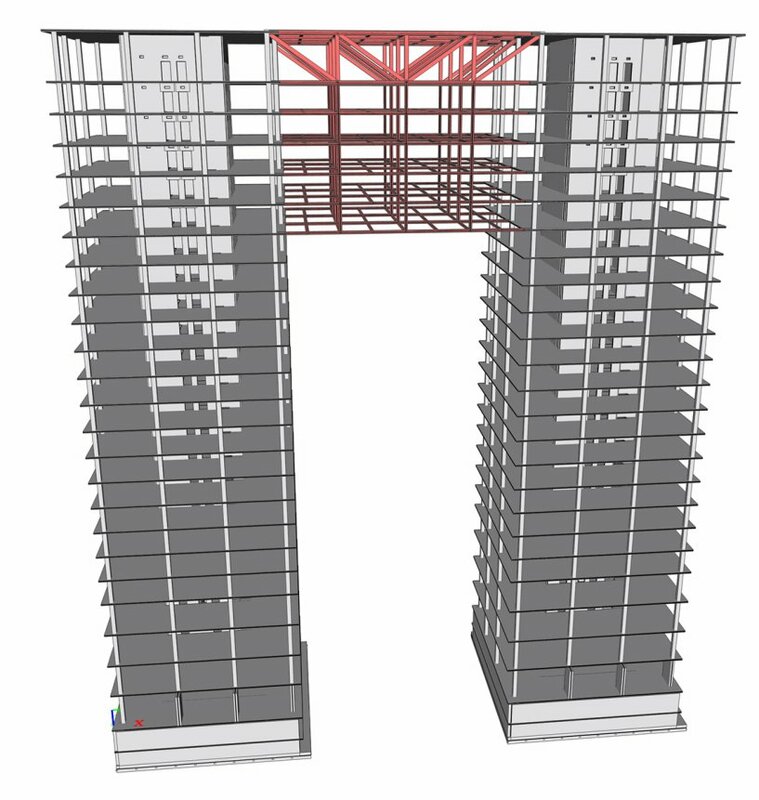 The import and export tools of Scia Engineer were used to optimise the sections of the columns with a spreadsheet developed by VK Engineering. 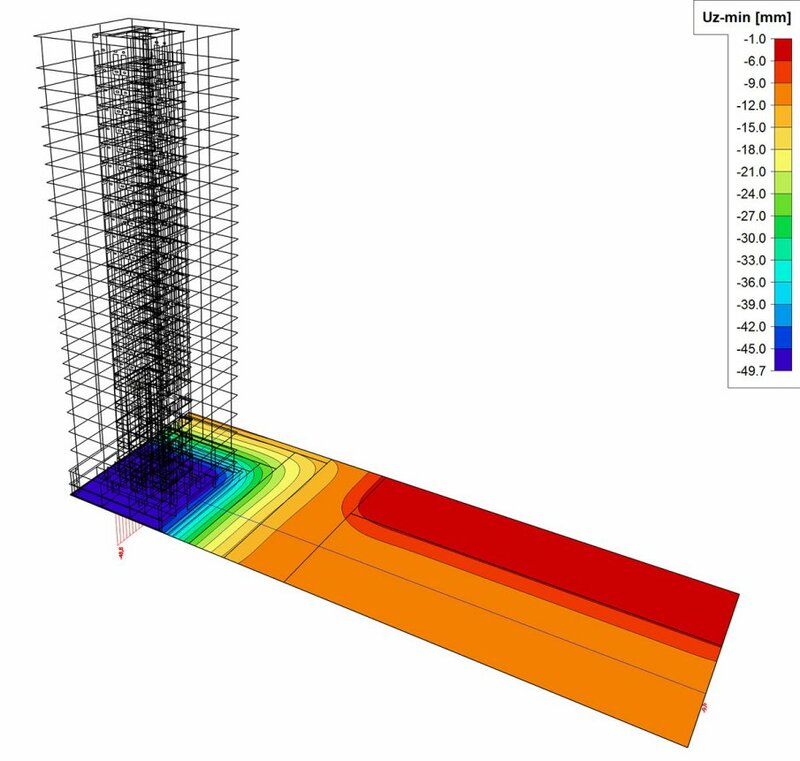 The R2S-link is used to produce formwork drawings directly from the calculation model.